I think, just maybe, that I cracked the “what to wear for a European sightseeing break” dilemma last week. To be honest it might have been a fluke, but there was one thing I kept in mind, and to my utter surprise I think it worked. By Jove, I think I’ve cracked it after nearly 47 years! 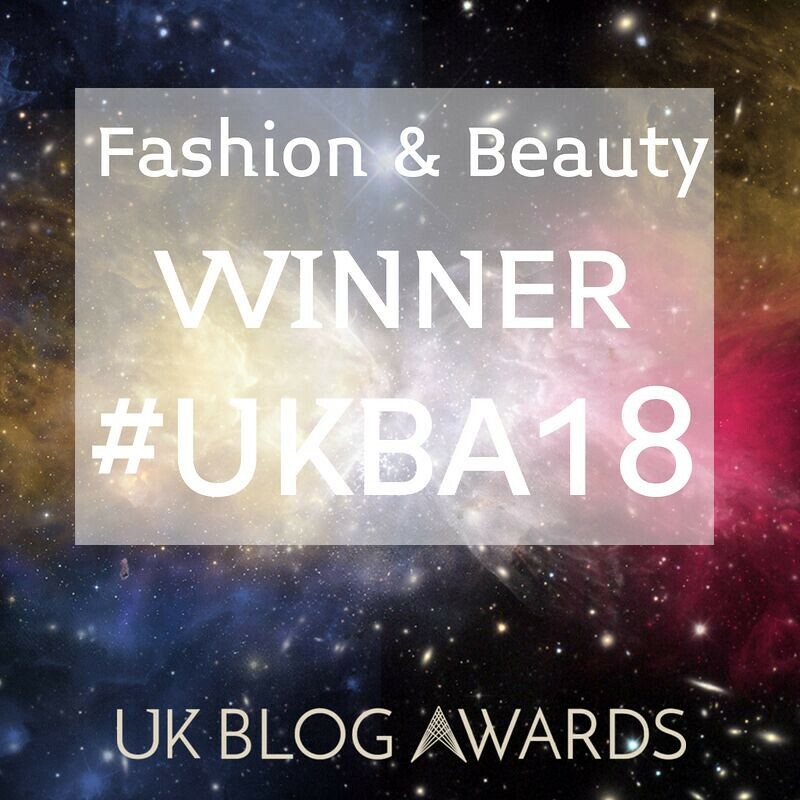 But first: I’m back on the blog after a mini hiatus of 12 days or so – the longest ever in nearly eight years of blogging. Of course I’ve been away on holiday or mini breaks before, but I’d always, always scheduled posts to go out during my travels. This time I wasn’t up to it in the days before flying out, and I’m very glad I didn’t slog my guts out because WOW I came back from Prague (a working trip) absolutely shattered. 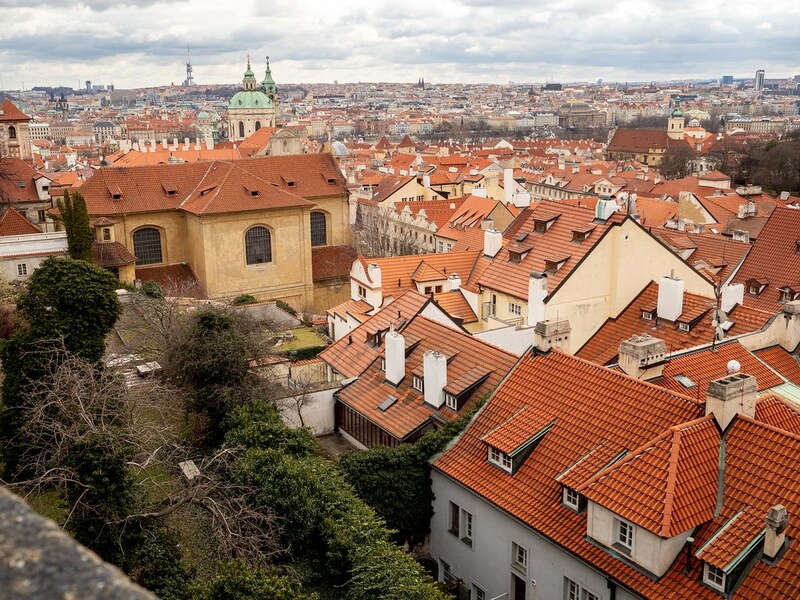 Here are a few photos from my week in the Czech Republic’s beautiful capital city, and I’ll tell you how I managed to crack that pesky packing conundrum…! It’s easiest to explain the outfit in terms of what I packed for my trip. This may be INCREDIBLY obvious to seasoned travellers – those strange creatures who pack beautifully, never overpack, and always, always have everything they need despite seemingly having so few items in their luggage(!) – but I realised that I absolutely HAD to choose a colour palette, and stick to it. For Prague, I went with a palette of blush, grey, cream, beige and mustard. Plus one splash of bold colour in the form of my trusty, goes-with-everything orange leather tote. I laid all the things I wanted to take on the bed, and if an item didn’t work with the colour palette I discarded it immediately, no matter HOW much I wanted to take it. I then made sure I had one of everything in terms of coat, trousers, dress (that would work for daytime, as here, or in the evening), sweater, scarf, boots, shoes, and tops or t-shirts for layering. I was away for a total of five days and knew the weather was probably going to be cold, windy/and or rainy, so my grey fedora* was more practical than an umbrella I might not need and regret having to carry. A pair of smart, comfy flatforms (like these) instead of trainers. A large, one-colour-fits-all leather tote (that zips up for safety). A large blanket scarf that doubles as a pillow for travelling. I can honestly say I got it right for once… I’m quite proud of myself! European cities – especially those that are not in the more southerly parts – can be COLD at this time of year. And wet. Although I was mostly working (a VERY exciting campaign for Garnier which I’ll write about here when I’m able in a couple of months or so), we did have a few hours before our flight on the last day to treat ourselves to a whistle-stop tour around Prague. 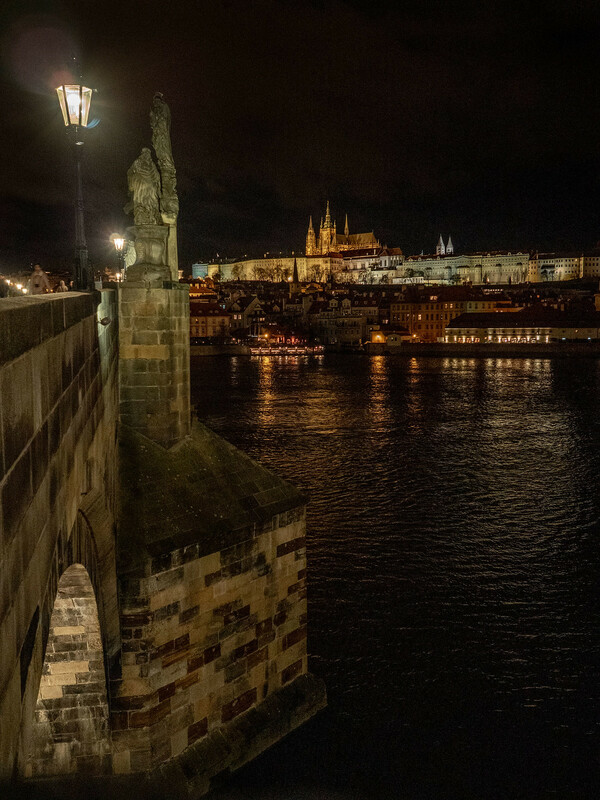 And despite a late finish the night before our last day, I also found time to take a few photos of Prague Castle at night from the famous Charles Bridge. I was desperate to see the sunset but sadly the sun had long since gone down. It’s a stunning city: there are practically no modern buildings, and you need to constantly look up everywhere you go otherwise you’ll miss all the architectural detail. It felt like going back in time to the medieval period, and I’d love to go back with Keith one day to explore it properly. HAVE YOU EVER BEEN TO PRAGUE? WHAT ARE YOUR PACKING-FOR-A-SHORT-BREAK TIPS? COMMENT BELOW…! My daughter has lived in Prague for 8 years so I’ve probably been at least 12 times at different times of year. Comfortable footware for walking is essential, and layers. In winter it can be very cold outside but hot on public transport and indoors, in summer it can be 30 C and sunny one day and 14 C wet and cloudy the next. It’s not a dressy city though so you can use packing space for layers rather than smart outfits and heels. If you go to Prague do get out of the old city centre, particularly at weekends, and explore other areas. Public transport is easy and cheap and there is so much more to see and do. What a beautiful place to travel to. Very nice. Thanks for hosting and I hope that you have a wonderful week. Thank you so much, Patrick…! I’ve been packing by colours for a few years, but I’m a list maker so I have a tendency to check and double check that each item is as versatile as can be! My latest “epiphany” has been packing cubes, especially if you’re not staying in one place for more than a couple of nights. It makes light work of finding that elusive pair of socks that otherwise would be a the bottom of my suitcase. I visited Prague years ago, it’s definitely one city I want to go back to! Susan you’re one of the clever ones, LOL! I recently bought some packing cubes and they really help, especially for putting the dirty laundry in (saves it getting mixed up with the unworn things)! Lovely photos and outfit Catherine. Thanks so much for sharing that you have mastered something after years of working on it. A good reminder to all of us that we can always learn something new (no matter our age) and that good intentions are great, but working on goals is better! Loved all your photos of Prague. Will put it on my list of places to (re)visit. Thank you Lieske – isn’t it a beautiful city?! I adore the colour palette you chose Catherine it’s one of my favourites. Prague is such a pretty city, your photography really does show it it off beautifully. Prague looks absolutely beautiful! I’d love to visit someday! You should, Lorita – it’s a beauty! Welcome back! 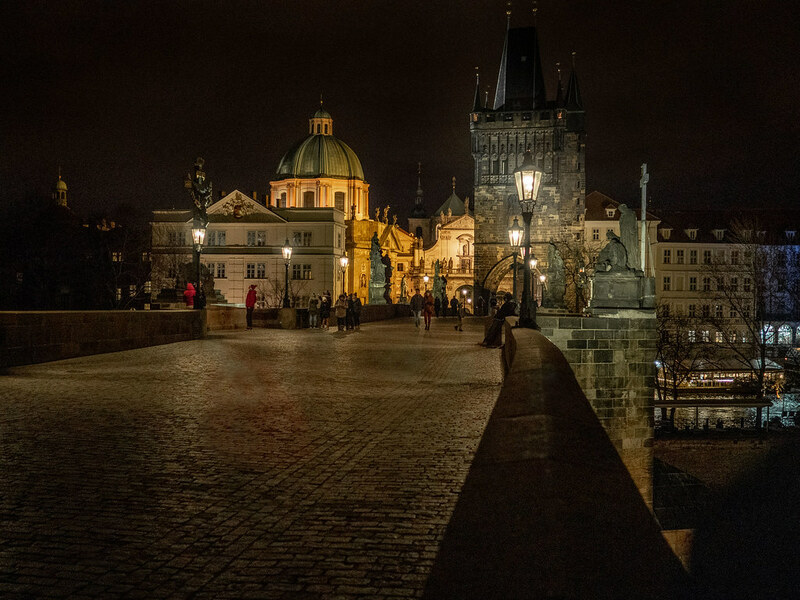 Those pictures of Prague are stunning! I wish I could go there! Thank you so much, Amy – it’s so old and so different to somewhere like London…! I really need to take your advice regarding the colour capsule packing. I would say, I don’t wear 3/4 of the clothes I take on holiday! 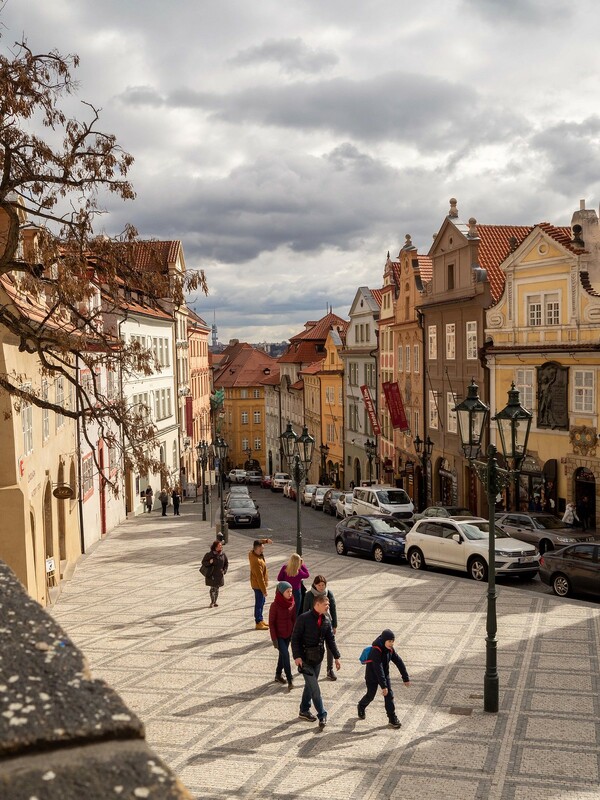 Beautiful photos of Prague it looks a fantastic place to visit. 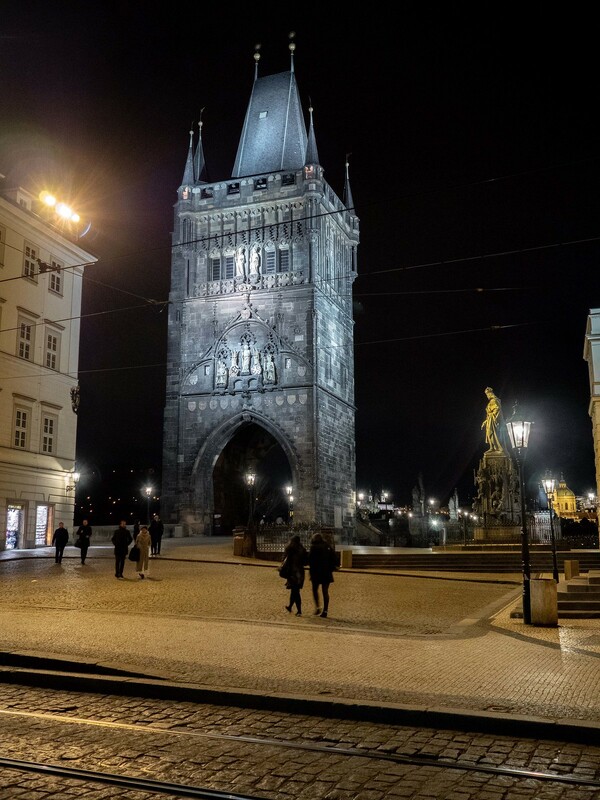 Beautiful photos of Prague! And I agree 100% about sticking to a color palette. I’m more of a safe, neutrals kinda girl, but it has worked beautifully for our (working) SWITZERLAND trip so far! Hope you get some rest. Great post as always, and glad you’re back. Thank you so much Melissa – sounds like you’ve had a wonderful time in Switzerland from what I saw on IG! Beautiful photos of Prague!! Great idea about the colour capsule packing. I’ve resigned myself to the fact that I will always pack too many things!! Haha yeah I almost had Tracy, but the idea of sticking to a colour palette hit me as I was packing… I amazed myself that it worked! Looks like a wonderful trip. I’d love to go there some day. Catherine, first of all, what a beautiful color palette you chose! I love the fun pattern mix, too. Second, your photos are beautiful. Sometimes, it is so good to just go be a tourist somewhere and leave all the other worries of life behind! So good for you for doing that! And finally, I am the worst packer on the planet and while I appreciate the wonderful tip of choosing one color palette, I have to say that I have been doing that for years when I pack…it does make it easier. However, I am still the worst packer on the planet! Hahaha. I guess I need to fine tune some things. I do love posts like this that offer tips for more efficient packing. So thank you! Shelbee thank you, so glad you liked my tip! Although we only had a few hours spare to explore it was enough to make me want to go back again…! Gorgeous photos indeed, especially the night ones! I love visiting Prague, too bad I can’t find spare time nowadays… Anyway, your post is amazing and now I’m thinking about packing my travel bag. 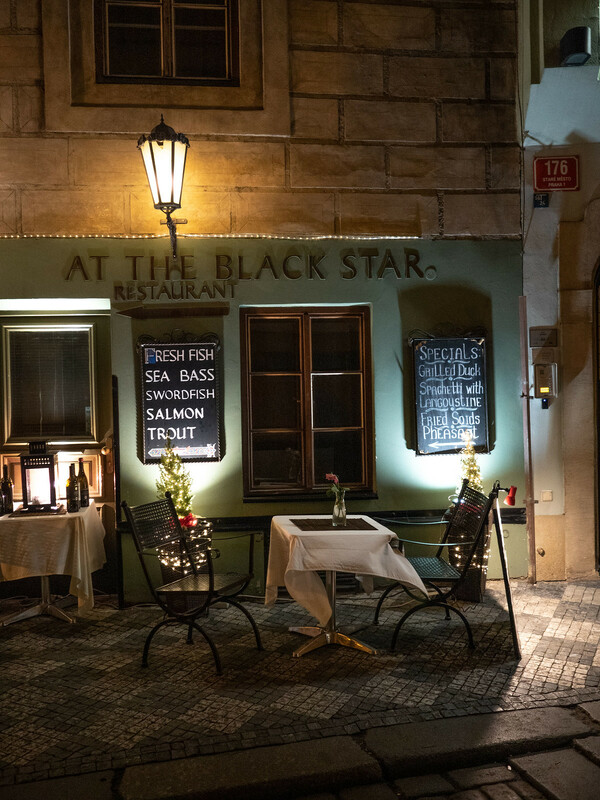 Your contribution will whet your appetite for Prague. I’ve never been to this city before, even though it’s not that far from Munich. Your pictures make you really want to visit this charming city once in summer. Your outfit is perfect for a great city trip. I would like to praise you once for the great LINK UP Party, in which I almost always participate. It’s on the list for must-sees, Jill! It’s a shame that we only had a few hours spare, we were meant to have at least one half day free – it overran severely, which isn’t surprising for such a big operation…! I think l could use your colour palette idea to help organise/cull my wardrobe . 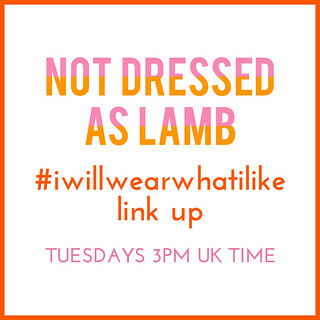 I’ve never managed a ’10 item capsule’ wardrobe yet!!!! The mix & match idea just does not work for me – l need a cache of clothes for each area of my lifestyle. When l go on holiday l pack all my best stuff . I wouldn’t dream of packing anything that is past its date, ill fitting, wrong colour etc so why do l keep them stuffing out my wardrobe (s). A sectioned colour palette wardrobe of the quality and fit l would be happy to pack into a suitcase to take away from home for a formal, semi formal, casual, lunch date etc whatever suits the occasion/my lifestyle would be so liberating. You did this for your trip and looked and felt amazing . l am going to try this concept at home and perhaps even fit the items into a suitcase to help cull the number of items. I looked back on the article of the ‘ EXTREME’ items a 30+ should not wear and to me the insult comes from the notion most women would ever wear them anyway – what planet does this person live on. The few women who would wear such extreme clothing wouldn’t take any notice of the article or probably not even read it! Forget the mix and match 10 item wardrobe concept and go for a cache of colour palette clothes appropriate to each area of our lifestyle . Quite right about the culling thoughts, Georgina! 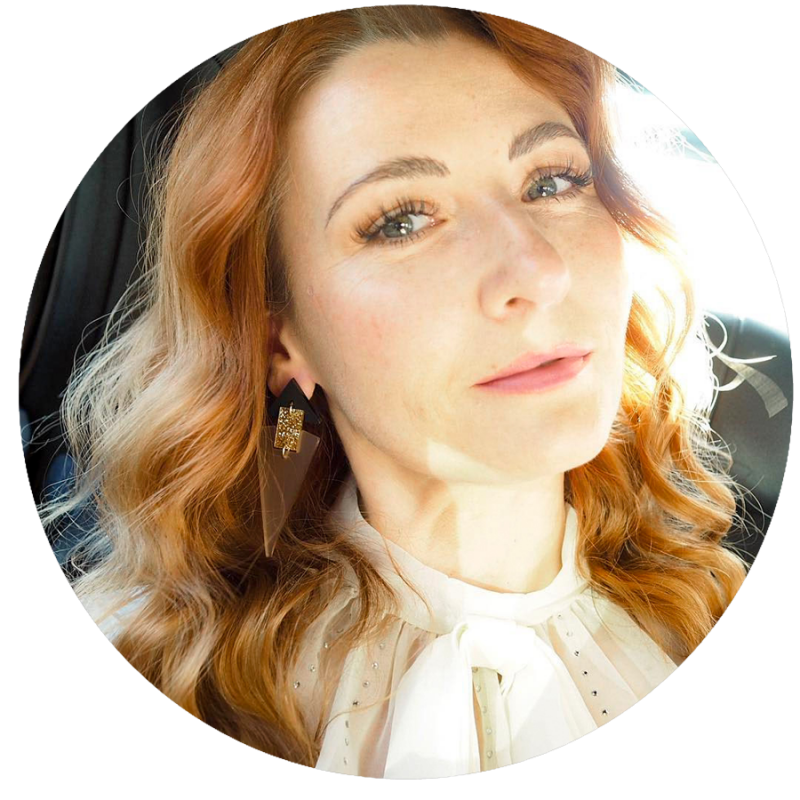 That article was so ridiculous, wasn’t it (though I’m certain it was clickbait…) – as if women over 30 are going to stop wearing oversized sunglasses or leopard print!! It’s the architecture that gets me every time in these old cities. So much nicer than the USA for interest and uniqueness. Funny you said that about packing. That’s exactly what I was finally thinking although it took me over 50 years…LOL!! The architecture is incredible, Jodie – even though parts of London are very old it’s NOTHING like Prague!! Prague looks lovely. Glad you enjoyed your visit. And that you felt good about what you packed. I hate getting somewhere and realizing I’ve packed all wrong! 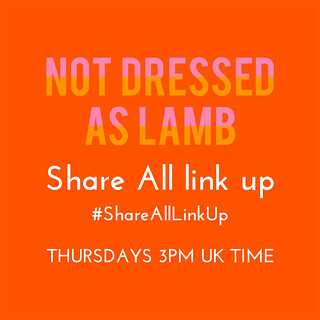 My post this week is about outfits, not all of which are my own. Hope that’s okay. Kudos on nailing the packing! It’s a tough puzzle to crack, though once you do you think, why did I make this so hard before! SOMEDAY I’ll get to the UK and Europe. SOMEDAY. (1997 Layovers in Amsterdam en route US > Nairobi and back don’t count, despite getting massively lost and wandering around in circles for hours). Amsterdam ALWAYS seems to be the place people go to to change flights, Anne – I wonder why? Done that many times myself and then only visited Amsterdam properly a couple of years ago!! 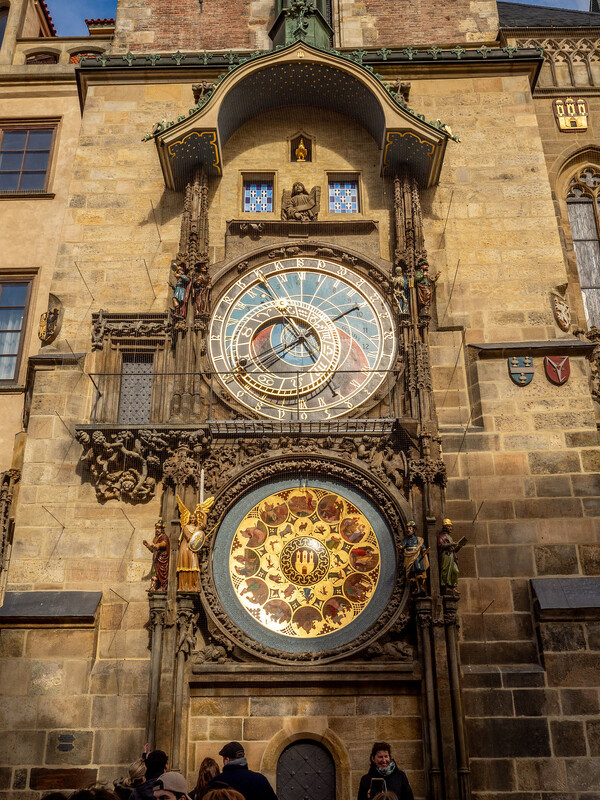 Ooh, we loved Prague, Catherine, and your photos are gorgeous! I finally figured out the color palette tip as well and it does make packing so much easier–especially the dreaded shoe packing part! Welcome back! So glad you at least didn’t have to think too much about the blog on your working trip! Lovely photos of Prague! 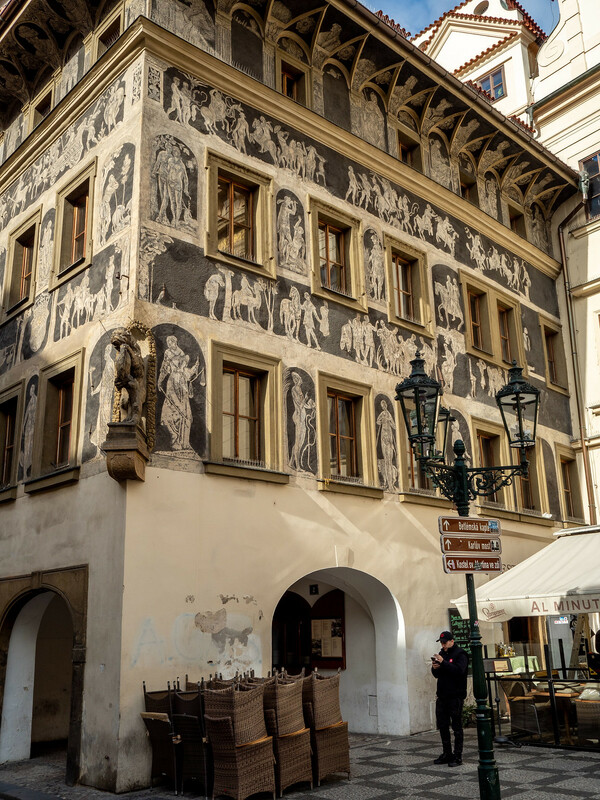 I was there about 12 years ago and couldn’t get over how old and beautiful it was—so many European cities obviously took quite a beating in WWII, but I guess Prague didn’t. I felt like I was in a Disney movie the entire time! Yes Prague was spared the bombing in WW2, unlike places like London and Berlin. So the old architecture is pretty much intact – and I agree, very Disney-like!! Thanks for sharing – it looks amazing!!! Pleasure, Joi – and thank you! Now I really want to visit Prague, it looks beautiful! And well done for nailing the packing! I’m gradually getting there with every trip, but there’s always something that sneaks in my suitcase that only goes with one item and nothing else! Thank you Helen – you should definitely put it on your bucket list…! This post is amazing. Congrats on cracking the code! lol. I love seeing the pictures of Prague and living vicariously through you. Also, good for you for taking a break!! I need to follow suit! For some reason, it has NEVER occurred to me to pack using a specific colour palette. That’s very clever; I plan specific outfits instead and always forget something. Well done on the packing front. I’m a terrible packer and tend to take everything, in the biggest suitcase I can get away with. Choosing a palette of colours is a good idea.